In the final days of the Vietnam war, chaos and heroism converged in the effort to evacuate U.S.-supplied aircraft. Henry Le remembers everything about his last morning in Vietnam. Then a 22-year-old second lieutenant in the South Vietnamese Air Force, he had landed at Tan Son Nhut Air Base outside Saigon the day before, too low on fuel to make it back to his home base at Can Tho. At 4 a.m. on April 29, he was awakened by the concussion of rocket explosions. "I was in a bunk on the second floor of the barracks," he recalls. "I sat up and for a few moments tried to understand where I was." Today Le is a lieutenant commander in the U.S. Naval Reserve, having flown S-3 Vikings on active duty patrolling for submarines in Subic Bay and A-6 Intruders in the Persian Gulf. On that morning 21 years ago, he was a newly trained A-37 pilot with only a handful of combat sorties behind him. 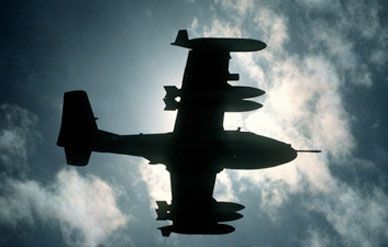 The Cessna A-37 Dragonfly was a small but capable attack bomber equipped with a 7.62-mm gun and able to carry as many as six 500-pound bombs under its wings. Le and his fellow A-37 pilots had been supporting ground troops and trying, mostly unsuccessfully, to slow the Northern assault that by then had tanks and artillery moving in a solid column down Highway 1 toward the capital. But not until the rockets began raining down on the suburbs of Saigon that morning did he know the war was lost. Most of the Americans involved in the conflict remember seeing the end coming long before Saigon fell. One of them, Air Force Brigadier General Harry "Heinie" Aderholt, commanded the U.S. military’s assistance and advisory operations in Thailand (MACTHAI). Aderholt had begun his career in southeast Asia in 1960—as the senior air officer in covert operations in Laos—and spent most of the next 15 years there. He trained Laotian Hmong guerrilla units for incursions into Tibet and is today a leader of a volunteer organization that helps settle Hmong refugees in the United States. In the war stories he tells, Aderholt is a rascal who made general, and he still has a rascal’s glint in his eye. He does not suppress his distaste for past U.S. policy in southeast Asia, and recommends one history of that period with this endorsement: "It’ll show you what bastards we are. How we always desert our allies." Aderholt was chief advisor to the Royal Air Force in Thailand before going to the MACTHAI in 1973. By 1974 he had already begun to worry about Vietnam’s neighbors—Thailand, Laos, Cambodia—all of the small, poor countries vulnerable to what would soon be an enormous air power. For as the United States drew down its forces in South Vietnam, it pumped up that country’s arsenal. By the end of March 1973, in accordance with the agreement signed that January in Paris, only 50 U.S. military officers and 159 Marine guards remained in the country. But the Republic of Vietnam Air Force had grown to the fourth largest in the world, from 482 aircraft in 1969 to 2,276 in 1973. Aderholt saw that the ultimate benefactors of this military aid would be the North Vietnamese, and he wanted to reclaim as many airplanes as he could for the United States and its allies. Aderholt was particularly concerned about 150 Northrop F-5 Freedom Fighters, 40 of which were E and F models that had just come off the production line, and 78 A-37s. 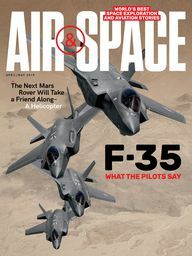 The F-5s were Mach-1.6 fighter-interceptors that, with the capacity to carry 6,200 pounds of rockets, bombs, or missiles, doubled as attack aircraft; they especially would pose a significant threat to Thailand, a country with a far smaller, far less modern air force. In the beginning of 1975, Aderholt sought permission from the U.S. Embassy in Saigon to begin bringing aircraft out of Vietnam. He had no authority himself to remove assets that had been loaned under the Military Assistance Program. After U.S. forces withdrew from Vietnam in 1973, military decisions there were made by the state department. "I presented a plan to [Graham A. Martin, U.S. ambassador to Vietnam] for the evacuation of all U.S. supplied aircraft" in the early months of 1975, Aderholt says. "But the plan was scrapped. Martin said he would entertain Ôno defeatist attitude.’ "
On March 10, 1975, General Van Tien Dung, North Vietnamese commander in the South, attacked Ban Me Thuot, a strategic city in the central highlands of South Vietnam, beginning the last offensive of the war. Seven weeks later his victorious army marched through the gates of Saigon’s presidential palace. In the interim, 933 VNAF aircraft fell undamaged into enemy hands. But not Henry Le’s A-37. When the second salvo of rockets lit up the night, Le leapt from his cot, jumped into his flightsuit, and rode on his motorcycle to the main gate of the air base. "I grabbed a packet of documents including flight training certificates—all important for starting over in a new country," he says. 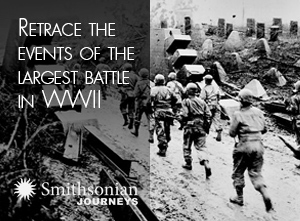 The base guards had orders to keep all personnel outside until the attack was over. Frustrated, Le listened to details of the ongoing battle via a tactical radio in the guard shack. He heard a pilot call the tower. The pilot was orbiting in an AC-119 gunship over the base at 7,000 feet, desperately trying to locate the source of the rocket fire. He requested permission to drop to 4,000 feet to get a better fix on the enemy location. Le could hear the roar of the AC-119 but could not see the aircraft because the pilot was operating without lights. Le remembers that as dawn turned the sky gray, the AC-119, a bulky, black transport with guns mounted along the port side of the fuselage, swept into view and laid down a sheet of 7.62-mm fire on the enemy position. "It was the final act of bravery I saw in the battle to save my country," Le says.